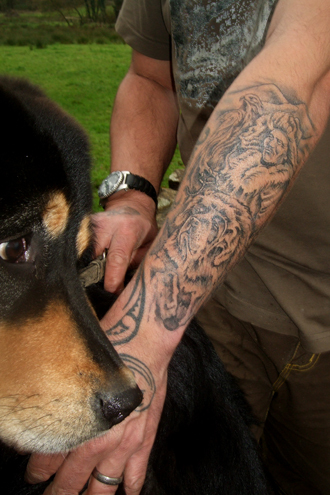 Zodd got an unusual request from our friends and fellow TM lovers Lisa and Neil in Great Britain. 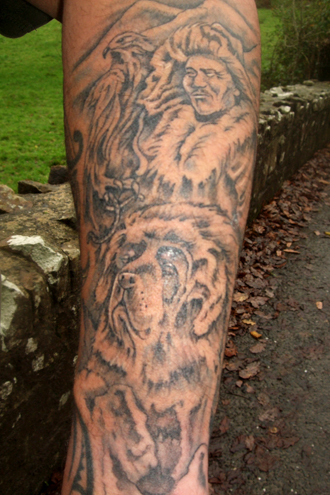 They asked if they could use a photo of him as a referance for Neil's tattoo. The answer? Well, YES of course!! Zodd and I are honored that Neil wanted to ink him! 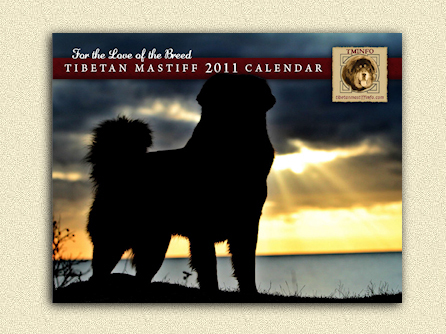 Zodd is the coverboy of the 2011 TM calendar + got a month inside the calendar as well! 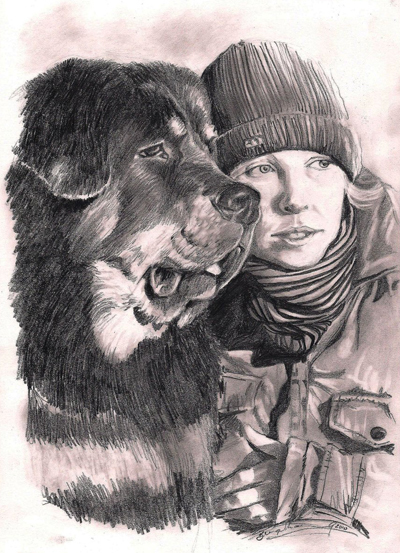 November 2010 - Zodd and I were drawn by our friend Bridget K that resides in South Africa! Check out her gallery at deviantART! Thank you so much for this picture! 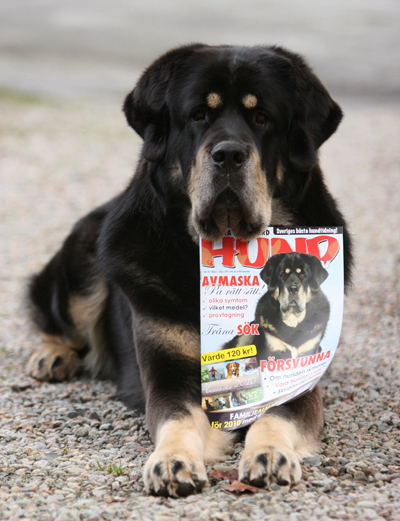 November 2009 - Zodd was on the cover of the swedish dogmagazine HUNDliv (issue 5 nov-dec 09)! 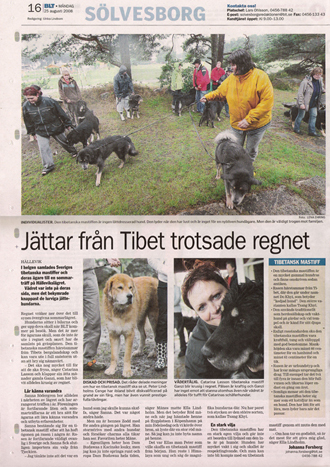 He was also featured inside the magazine together with Måne, next to an article about the most expensive dog in the world - A Tibetan Mastiff from Tibet. + Zodd got a month inside the calendar as well! 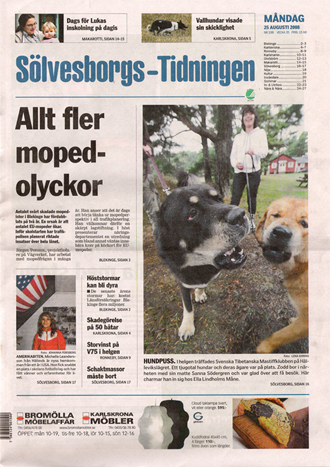 Zodd was featured on the firstpage of our local newspaper when we had our annual TM-gathering here in Sweden in august 2008. 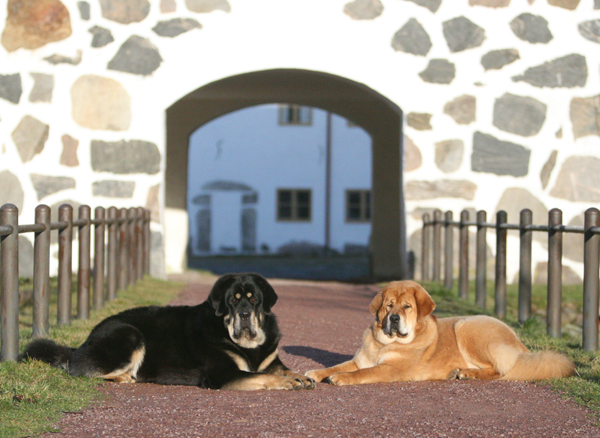 The lady to his right is his sweet friend Måne. You can click on the pics to get bigger images. For those interested the article can be found online, but only in swedish I'm afraid ---> CLICK here!! 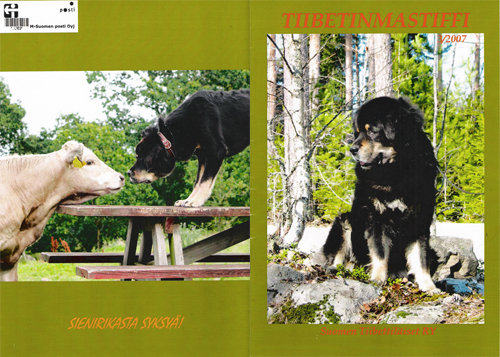 Zodd was Molosser of the month at Molosserworld in January 2008!! Just click the picture if you want to see it in a larger size!